About Porchetta & Co. - Porchetta & Co. 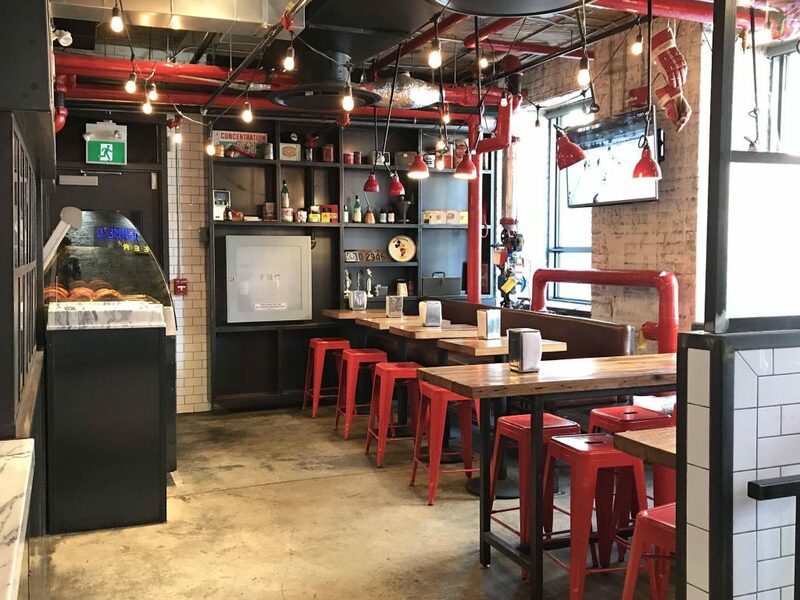 Specializing in Porchetta & Fried Chicken Sandwiches, Porchetta & Co. has established itself as a homegrown favourite amongst a fast growing & vibrant food scene in Toronto, with locations in the downtown core. The Original Porchetta & Co. started by Chef Nick auf der Mauer, opened its doors in the winter of 2010 to much praise from the local media, as well as some notable mentions from the likes of Food & Wine magazine and The Chicago Tribune. The O.G. Porchetta & Co. located at 825 Dundas St. West still maintains its low-key vibe while dishing out high quality food. The method for making our Porchetta is unique and is one of the reasons why we have stood out amongst a competitive Toronto food scene. We start with Hormone & Antibiotic restricted Ontario Duroc Pork. Then we marinate the shoulder in a blend of fresh herbs, garlic & extra virgin olive oil. Next, we take the shoulder and wrap it in prosciutto, and finally its wrapped again in cured skin on pork belly. The Porchetta is then roasted whole, rested and carved per order. We take extra care with the skin by double baking it to ensure an even and consistent crunchy texture. You can have it in a sandwich, on a plate, or order a whole roast – the choice is yours!